For 1964's Matador, Green showed a lot of courage, performing "My Favorite Things" in a quartet with McCoy Tyner and Elvin Jones. Any other guitarist would sound foolhardy in that setting, but Green came up with his own ideas, creating a different spin on John Coltrane's trademark song. It is proof that on the guitar, Green was on the level of a McCoy Tyner and an Elvin Jones on their instruments. He was an innovator who blazed his own path, created music that had never been heard before, and always remained impossible to pin down as playing in only one style. 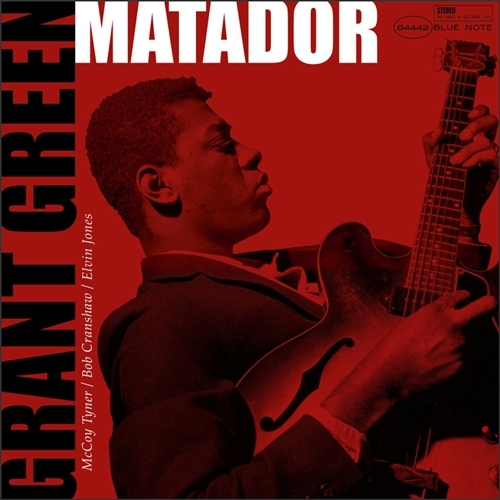 Matador, which features Grant Green with his peers, is one of his most vital and timeless recordings.